"It takes 34,000 individual silk threads to make one of these glorious ties. It takes years of bartering and carefully cultivated relationships to make one for you at this price." 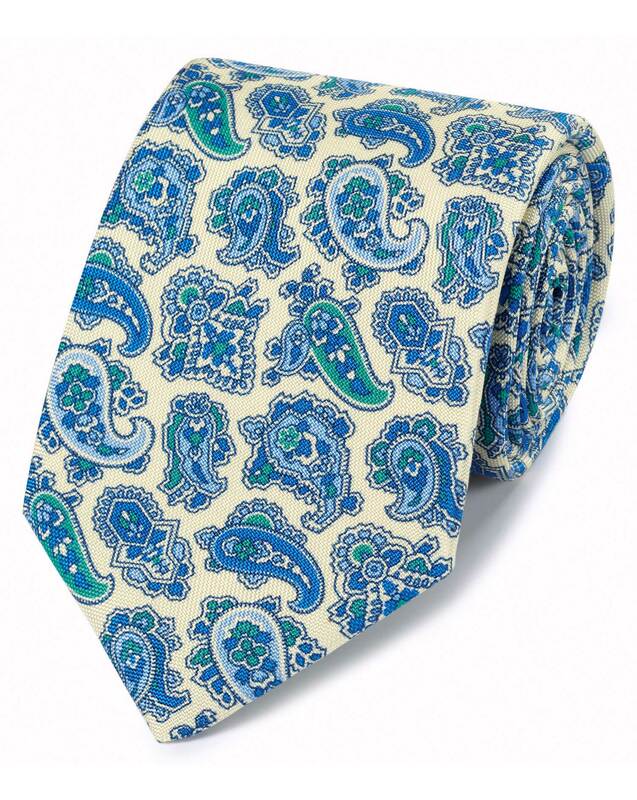 "This luxurious tie was designed and handmade in England from opulent seven-ply silk." It was a gift that was very much loved by the recipient. That in itself is worth more than 5 stars.